You may remember last spring when I posted a book review of Up: A Mother and Daughter’s Peakbagging Adventure with an interview of author Trish Herr. Trish and her daughters are ready to embark on a new adventure in a few weeks: the Camino de Santiago, or Way of St. James. The Camino is a collection of several hiking routes through Europe, terminating at the grave of St. James in Santiago de Compostela in Spain. Trish and the girls have chosen a 500-mile route to complete, beginning in Saint Jean de Pied de Port in France. In addition to the thrill and challenge of this long-distance hike, they are also raising money for two charities, GirlVentures and Global Fund for Women. I’ve been following the progress of Trish, Alex and Sage as they train and prepare for their journey. I felt for her when one of the girls recently went through a growth spurt and suddenly needed new gear (read about it here). I love following other people’s adventure stories, and I wanted to help spread the word about this remarkable family and the charities they are working to support. Trish was gracious enough to do another interview with me for this blog, and I’m excited to be able to share it with you today. Hiker Mama: How did you hear about the Way of St. James, and why did you decide to try hiking it? Trish Herr: We watched a movie called, “The Way.” The film is written and directed by Emilio Estevez and it stars Martin Sheen – it’s an excellent work of art and we enjoyed it immensely. By the end of the movie, the girls and I were looking at each other and saying, “Can we go there and hike that route?” Once we get something into our heads, we do our best to make it happen. Now here we are, just a few weeks away from our own Camino. HM: Can you tell us a little about the trail – what is the character of the hike, what is the climate like, and how does the Camino compare to a long-distance trail Americans might be more familiar with, such as the AT or the PCT? TH: El Camino de Santiago is an ancient pilgrimage route that leads to the supposed remains of St. James, who is said to be interred within the cathedral in Santiago. Actually, in the early years of the pilgrimage tradition (which began over a thousand years ago), there was no official route; people from all over Europe would step out of their homes and walk toward Santiago. Eventually, routes began to form. The largest one, called the Camino Frances, begins at St. Jean Pied de Port on the French side of the Pyrenees and stretches west, over northern Spain, until it reaches Santiago. This is the route we’re taking. Over a million people have taken this route over the centuries – kings, queens, criminals, the sick and the poor (it was believed one would be healed by walking the route), etc. Nowadays, both religious and nonreligious people take this hike for cultural, historical, and spiritual reasons. The route is now a mix of countryside dirt paths, small town roads, a bit of big city sidewalks, and a bit of mountain trekking. During the summer, the Camino is crowded and the days are hot. We’re starting in mid-March and will walk though April, however, so there will be fewer people and the temperatures will be fairly cool while we’re there. Snow is certainly possible, as are rain and strong winds – however, at some point, we’ll probably get bright sunlight and high temperatures too. In other words, we’re going to get a little bit of everything as far as weather and temperatures are concerned. We’re used to this, though, since we live in the White Mountains. We’ve been on hikes here in New Hampshire where the weather has gone from hot to freezing all in one day. We’re packing layers and I think we’re prepared for whatever the Camino decides to throw our way. HM: Hiking the Camino seems like a worthwhile goal by itself, especially for a homeschooling family. How did the additional idea to raise money for charity arise? TH: I strongly feel that if we’re fortunate enough to be able to take this trip, then we should do our best to use the trip as a way to help others. I want the girls to have social consciences. They should help people however they’re able. Everyone should do their best to help others – think of what a nice place this world would be if everyone did whatever they could for other people! Hiking comes naturally to Alex and Sage and they enjoy it, so if they can raise money by hiking for charity, then that’s what they should do. HM: How do hikers deal with food on this trail? Where will you be sleeping? TH: Hikers can buy food at grocery stores and cafes in the towns along the way. Also, some of the albergues offer dinner and/or breakfast. We will sleep in albergues, which are shelters for Camino hikers (“pilgrims”). One pays a small amount – anywhere from 5 to 10 Euros – and receives a bunk for the evening. HM: Will you be continuing formal homeschooling lessons while you are hiking? TH: No. Both girls are at or above grade level in all their subjects, so I see no reason to bring the schoolbooks. Alex and Sage are going to learn a ton while we’re there anyway. “The Way” is rich with history and culture. There will be museums and ancient churches and people from all over the world – in other words, this will be an educational experience in and of itself. HM: What are Alex and Sage most looking forward to about the trip? HM: What is Trish looking forward to? Is there anything that concerns you? TH: I’m looking forward to walking through various landscapes and seeing the sights of the ancient towns and cities. I also look forward to speaking Spanish as best I can, and to meeting people from all over the world. More than any of that, I look forward to watching my children take everything in. This will be quite the experience for them. As for concerns…my main concern is how the day after day walking will affect the girls. They are used to hiking long distances over mountainous terrain in all kinds of weather, but they are not used to hiking day after consecutive day. We now train three days a week, but that’s still not the same as getting out there every single day. I will therefore be strict about keeping our daily mileage fairly conservative in the beginning. I don’t want anyone to get injured by going too far too fast. Once we’ve been at it for a week or so, we can increase our daily mileage if we so desire. So much will depend on simply listening to our bodies. HM: How long do you expect your trip to take? TH: We’ll probably take between 45 – 60 days to complete this trip. It’s possible we’ll go faster or slower, so perhaps we’ll finish in one month or maybe we’ll finish in two and a half months. We’re going to be as flexible as we can. When we feel happy and strong, we’ll walk. When we feel tired and/or miserable, we’ll rest. I think our success will depend on our ability to take the Camino one day at a time and roll with the punches. Thank you so much to Trish Herr for taking the time out of her busy schedule to tell my readers about their trip! 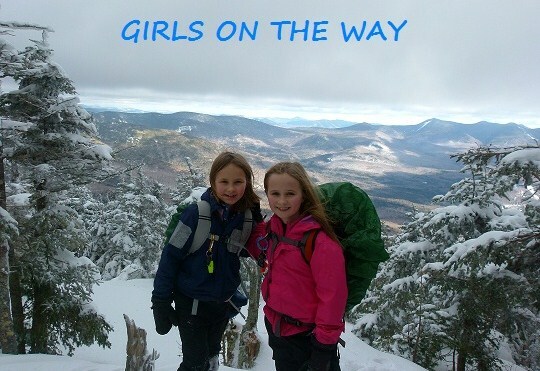 You can follow their journey on their blog, Girls On the Way. If you’re interested in finding out more about the charities they are walking to support, visit their donation page. Trish wrote about their gear choices here. Trish, I hope you have an amazing journey! Safe travels. We’ll be cheering you on. What a remarkable story–thanks for sharing!